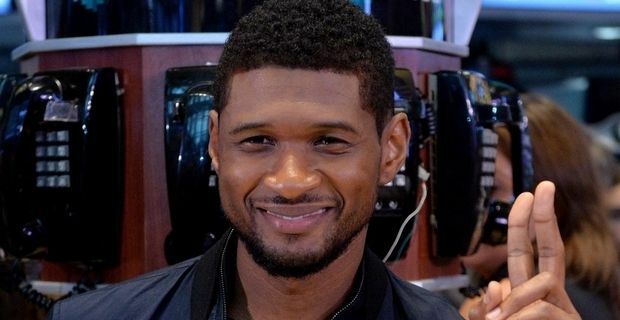 Usher faces a custody battle with his ex-wife after their five year-old son was involved in an alarming swimming pool accident. The boy came close to death while supposedly in his father's care. Now ex Tameka Raymond has been granted an emergency custody hearing to petition for sole custody of the couple's two children. Tameka claims that Usher is "creating a dangerous environment" for the children. The allegation was provoked by the pool incident in which the boy, Usher Raymond V, came close to drowning. While playing in the pool at Usher's Atlanta home, the child caught his arm in a drain.Usher's housekeeper attempted to rescue the boy but had to be helped by some contractors working at the house, They freed the child and performed CPR. The boy was conscious and breathing when the paramedics arrived, and has made a full recovery. Usher was not present at the time. According to the TMZ website, Tameka's petition argues that Usher is abdicating his parental responsibilities by leaving the two children in the care of his staff and an aunt Rena Oden. Tameka alleges that the aunt previously allowed a stalker to enter the property, and that she is too physical when disciplining the children. The hearing will be the latest stage in a long legal battle between the couple who divorced in 2009, after two years of marriage. The squabble featured several bitter accusations, with Tameka demanding Usher takes a drugs test and, in a moment of light relief, accusing him of cancelling her Saks 5th Avenue credit card. Usher was awarded primary custody of the children in 2012, with Tameka awarded secondary rights. She now wants the positions reversed. In the same year, Tameka's 11-year-old son by another partner Kile Glover, died after sustaining injuries in a boating accident on Lake Lanier, near Atlanta.